BOCA RATON, FL (January 21, 2013) — Kaye Communications, a South Florida integrated marketing and public relations firm that provides seriously strategic integrated communications counsel, develops authentic original content and implements market-relevant multi-audience initiatives for regional and national brands in a variety industries, was presented two coveted 2013 Bernays Awards that honor excellence by the local PR & Marketing community. The firm received the Gold Coast PR Council’s (GCPRC) BERNAYS PR STAR AWARD for best overall and long-standing excellence and a BERNAYS AWARD for a project on behalf of a nonprofit organization, the Order of St. John, for its Our Legend, Her Legacy: Countess de Hoernle’s 100th Birthday Gala and Community Celebration. This is the 9th year the competitive award program has been hosted by the GCPRC, the largest independent organization in South Florida of PR, marketing and communications professionals from Palm Beach, Broward, Martin and Dade counties. 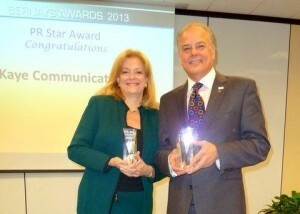 Kaye Communications is now a three-time Bernays Award winner (named for the father of Public Relations Edward Bernays), previously honored by the GCPRC for the firm’s worldwide media campaign for the debut of the $100 Hamburger for the Old Homestead Steakhouse at the Boca Raton Resort & Club in 2007 that generated $1.7 million in broadcast coverage alone within the first two days of the debut (followed by a live cooking segment on NBC TODAY and mentions on Letterman and Jay Leno) plus an Associated Press article and photos that was published around the globe as far as Australia and Japan. 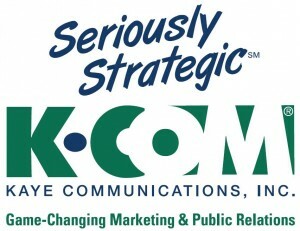 Most recent notable trailblazing initiatives by Kaye Communications include its branding, destination marketing and dedicated website development and management for Downtown Boca for the Boca Raton Community Redevelopment Agency (CRA), which included the firm’s conception and development of a comprehensive strategic marketing plan with a Friday Night LIVE! monthly entertainment series and inaugural Downtown Boca’s Brazilian Beat destination celebration in collaboration with the Consulate General of Brazil in Miami and the Palm Beach County Visitors & Convention Bureau that drew 10,000 visitors. The firm also led media relations and community engagement initiatives to support California Pizza Kitchen’s debut of new national corporate brand-reinvention “flagship” showcase restaurant in Sawgrass Mills and spearheaded community and media initiatives for seven consecutive years for the PGA Champions Tour’s Allianz Championship that brings more than 70,000 visitors to Boca Raton and delivers an economic impact of $15 million. It provides strategic integrated communications counsel and implementation for 5-Star Platinum Club Award-winning Broken Sound Club, the current reinvention and transformation of the Boca Raton Bridge Hotel into a 4-Star boutique property and the Radisson Aruba Resort, Casino & Spa’s $55 million transformation in 1999 and then again in 2011 for its recent $26 million refreshment. Other Boca Raton brandsempowered by Kaye Communications include the Boca Raton Resort & Cluband its Premier Club; Muvico Theaters; Town Center at Boca Raton; the mixed-use village of Royal Palm Place; Promise Healthcare with long-term acute care hospitals in six states; and Boston Market (for its 25th anniversary brand reinvention/repositioning pilot market initiative that served as prototype for the brand’s national activation). 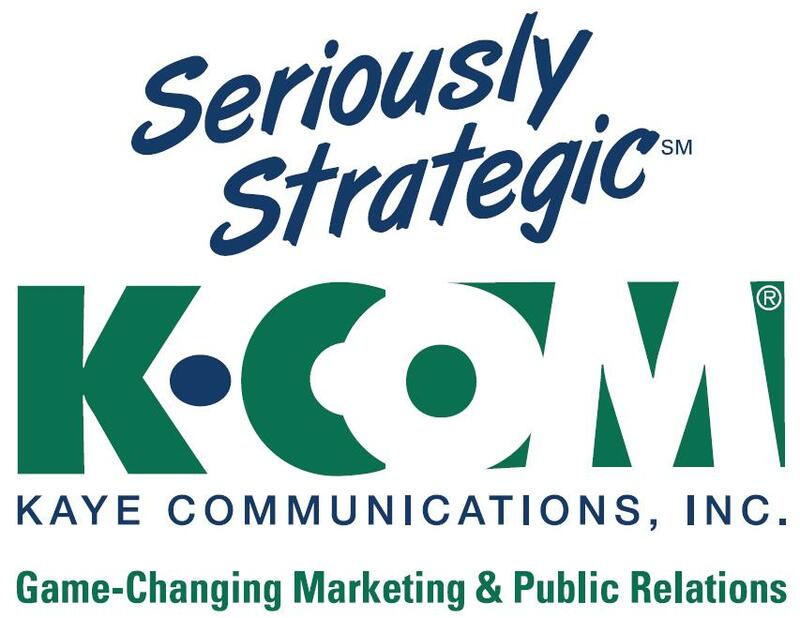 Kaye Communications, Inc. is headquartered at South City Plaza, 1515 South Federal Highway, Suite 103, Boca Raton, FL 33432. For more information, call (561) 392-5166, visit www.kcompr.com, or email smartstrategiesbegin@kcompr.com.